Does the notion of travelling or embarking on a brand new adventure excite you? If the answer is yes, then teaching English as a foreign language is the perfect option! An excellent way of earning money to support your travels, TEFL allows you to fully immerse yourself in the culture of a new country. Having great subject knowledge is essential to the confidence of any TEFL teacher. 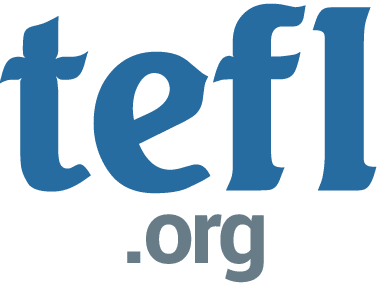 Our courses have been developed by experienced and highly qualified TEFL professionals to ensure that you have all the tools you need to succeed in your TEFL career. From an intensive 20 hour classroom TEFL course in London to a 150 hour Premier combined classroom and online TEFL course, there is something to suit every learning style. Our flexible courses can be completed over up to 6 months, which can be accommodated by even the most hectic of schedules. We hold 2 and 3 day intensive classroom TEFL training courses in London Paddington and London Islington. During the classroom training course, you will learn all the skills and knowledge you need to successfully deliver your own TEFL lessons. You will have the opportunity to learn about modern TEFL methods, classroom management and, of course, lesson planning and preparation! Not to mention you will share your training experience with an interesting bunch of new, like-minded people. 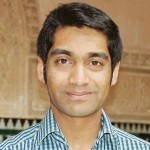 Our London TEFL courses are normally held by our highly experienced and qualified TEFL tutors Alex and Asif. 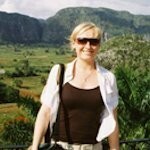 Alex is a highly qualified and experienced TEFL tutor with years of teaching experience. She has travelled to countries such as India, Cuba, Zimbabwe, South Africa, Namibia, Botswana, Kenya, Tanzania, Morocco, Egypt, and most of Europe. 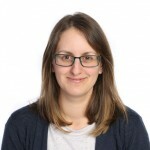 Lizzie has taught English in Spain and the UK, in language schools and universities. She loves music, reading, cooking, traveling and wild swimming. Q1. What is the classroom schedule for the 2-day weekend course in London? Q2. What is the classroom schedule for the 30-hour weekday TEFL course in London? Q3. How many people will there be in the London TEFL classroom course? Q4. Does the qualification expire? A: Your TEFL certificate will be valid forever. However, as with any qualification, if you do not use the qualification for a while, employers may see it as a bit out of date. We recommend using the qualification within 18 months of completing the course. If you do not, it may be worth repeating the classroom part of the course as a refresher and to give you an up-to-date certificate. It’s hands on! We believe that it’s so much more effective to be involved in practical activities rather than just listening to somebody lecturing at you. This is why during your TEFL course in London, you will be kept on your toes with activities and games to help you retain the information you learn.